Online gambling firm bwin.party are poised to return to the US poker market after almost six years away following their application for a gaming licence with the Nevada Gaming Control Board. The Gibraltar-based company – which owns online poker room PartyPoker – have submitted their application to add their name to an ever-growing list of firms showing great interest in taking advantage of the expected legalisation of online poker in the USA. Bwin.Party Digital Entertainment plc was formed in March last year following the merger of Bwin Interactive Entertainment AG and PartyGaming plc to create the world’s largest publicly traded online gambling company that is now listed on the London Stock Exchange. 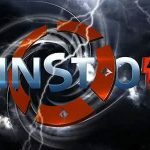 This merger came almost five years after PartyGaming took the decision to suspend all real-money games in the USA, before then exiting the market three days after the US government’s passing of the Unlawful Internet Gaming Enforcement Act (UIGEA) back on September 29, 2006. 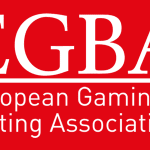 Then, in April of 2009, PartyGaming decided to reach a settlement with the US Department of Justice (DoJ) in which they agreed to pay a $105 million penalty over four years as part of a non-prosecution agreement for providing online gambling to American customers before the UIGEA was passed. As an element of the agreement, PartyGaming put its name to a “statement of facts” in which it admitted that, before October of 2006, they had aimed to attract American citizens that resulted in the processing of transactions “contrary to certain US laws”. This deal ensured that PartyGaming were not prosecuted and also made sure that they could return to the US market if – and when – new laws are put in place to regulate all internet gambling in the North American nation. Bwin’s merger with PartyGaming last year also paved the way for the new company to partner with Nevada-based gaming firms Boyd Gaming and MGM Resorts International late last year in what was considered an “anticipatory” move ahead of the hoped-for legalisation of online gambling in the States. 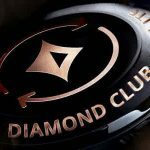 The venture has resulted in bwin.party owning 65% of the company as they provide and maintain the software for both gaming businesses, while MGM – which also runs hotels – holds 25% and Boyd Gaming just 10%. Boyd Gaming and MGM have previously applied for licences with the Nevada Gaming Control Board to operate as online poker providers. 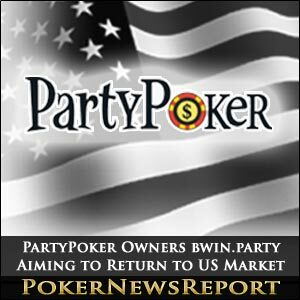 PartyPoker had been the world’s biggest internet poker brand – if based on their number of players and cash game revenue – before pulling out of the US market, although it still holds the position as the second biggest behind PokerStars. 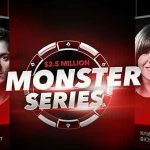 While Jim Ryan, bwin.party’s chief operating officer, recently told PokerNews that the joint venture is unlikely to see them regain the 50% share PartyPoker enjoyed before the introduction of the UIGEA, he does expect to see a “very meaningful liquidity pool” in what will be a highly competitive market.